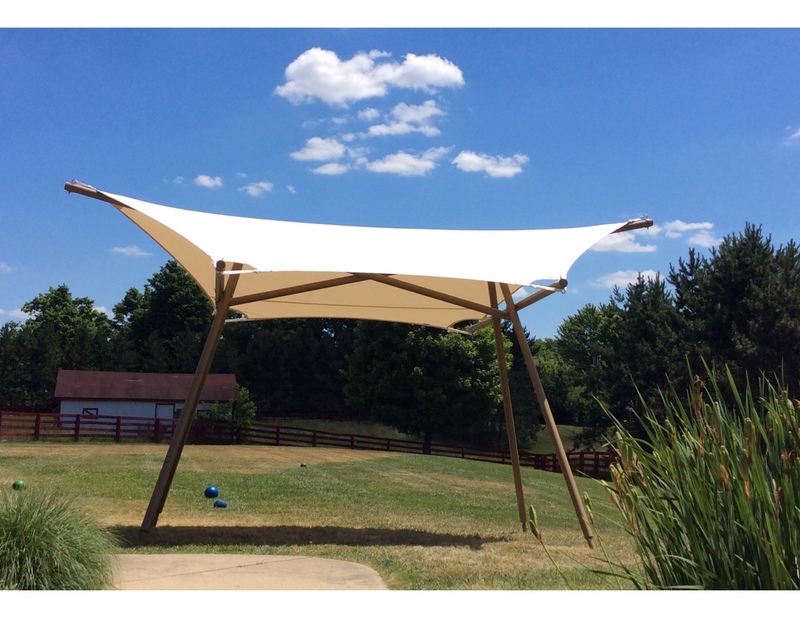 The Solaris is a Patented Parabolic Shade Structure with an Aluminum frame work that is offered in a variety of powder coated colors. All hardware is Marine Grade Stainless Steel and the Innovative anchoring footers. 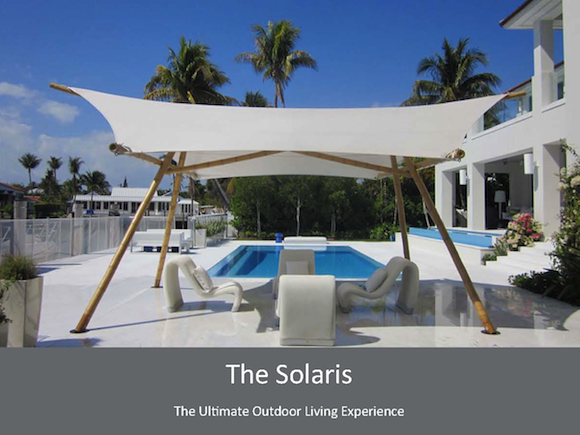 We use only the best quality materials in the construction of the solaris and it is produce 100% in the USA. 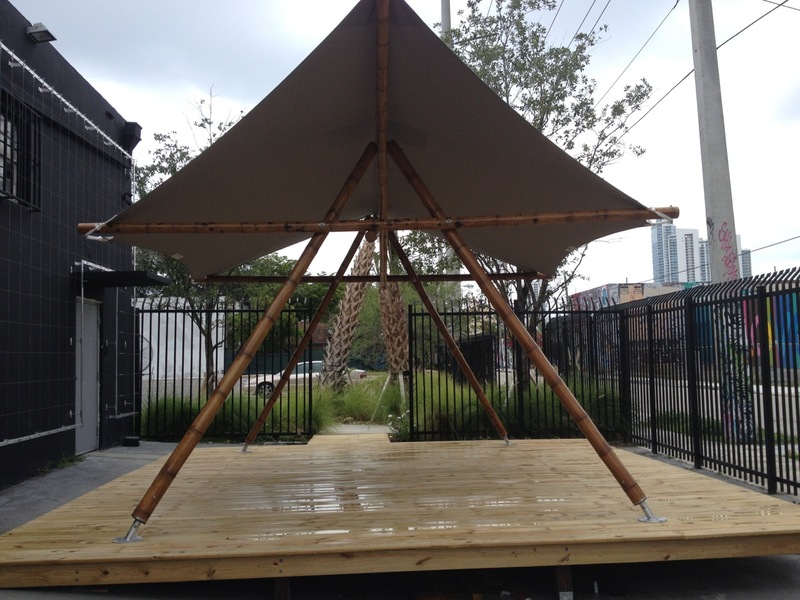 Fabric Top is constructed of Sunbrella Outdoor Fabric and all stitching is Goretex rot proof thread. One leg has predrilled holes from the footer to the top, this allows wiring to be installed for Lighting or Sound.